What’s coming next? The key government contracting leaders aren’t just asking the question, they’re shaping the conversation. In WashingtonExec’s inaugural list of Top 30 Executives to Watch, we turn the spotlight on industry leaders who are positioning their companies for greater growth and relevance ahead. Selected by industry colleagues, these leaders hail from a diverse range of companies, where they’re fueling new ways of thinking and responding to the many challenges faced by their government customers. From cybersecurity to national defense, healthcare IT to big data, the needs will only grow as we settle into this Presidential election year and beyond. Throughout this alphabetical list, we’re placing our bets that these industry leaders will continue to drive value and exceed expectations across all levels of government. Read on below about each of our 2016 Top 30 Execs to Watch. In September 2015, Salient Federal Solutions merged with CRGT to form Salient CRGT, now led by CEO Brad Antle. This “merger of equals” is backed by two private equity firms, Bridge Growth Partners, LLC and Frontenac Co. Kevin Parker is Co-Founder and Senior Operating Principal of Bridge Growth Partners and was previously successful as CEO of Deltek. Reason to watch: As the two companies continue to finalize its integration, the question remains: Will Antle and his team continue to acquire companies? CACI CEO Ken Asbury had a great end to 2015 with the company’s announcement of intent to acquire L-3 Communications’ National Security Solutions (NSS) business segment. “The NSS acquisition strongly reinforces our strategic growth plan. I am confident the complementary, high-end solutions gained will strengthen our competitive position,” Asbury said. “This transaction adds depth and breadth to our intelligence, cyber and C4 solutions and services to meet our nations’ evolving and most critical national security challenges.” CACI made their largest acquisition with the purchase of Six3 Systems in November 2013. Reason to watch: It will be exciting to see how Asbury and his team continue to integrate the companies and if they will continue to grow through acquisition in 2016. Attain Chairman and CEO Greg Baroni celebrated another year of big wins with his team, including new work with EPA, Commerce, SEC and U.S. Army. 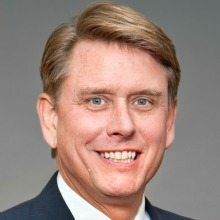 Not only did the firm experience both significant financial and human capital growth — last year, Attain grew employee headcount by more than 30 percent — but it also grew its portfolio of strategic corporate alliances, adding Workday, ServiceNow and Salesforce, through which they are already heavily operational. Reason to watch: Watch for Attain to continue their forward momentum in 2016, harnessing the significant gains of 2015 into continued growth in the new year. This year may be one where we see an acquisition or two. You might have recently seen AECOM’s Jill Bruning in a quick video interview last month speaking on the topic of girls in STEM, and the Stevie Award winner continues to lead the firm to success. Bruning was named Executive Vice President and General Manager shortly after the company’s industry-transforming acquisition of URS in 2014. She leads AECOM’s Intelligence Community and Services business — delivering the full life cycle of AECOM’s design, build and operate capabilities in engineering, technical services, mission support and intelligence analysis. Bruning has more than 30 years of extensive executive experience supporting highly secure, complex IT enterprises for the intelligence community and Dept. of Defense. She has served on numerous corporate boards and was selected in October 2015 to serve on the Intelligence and National Security Alliance’s Board of Advisors. 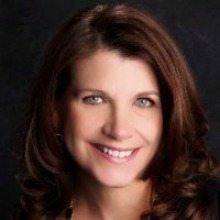 As an engineer herself, Bruning is passionate about mentoring and helping women become more STEM educated. A strong supporter of diversity and inclusion program efforts at AECOM, she is also actively involved in AECOM’s WomenExcel employee group. Reason to watch: In an industry where promotion through acquisition is rare, we can’t wait to see what new markets Bruning and her team will go after in 2016. 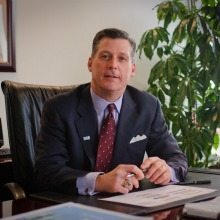 Brian Clark was named CEO of NCI, Inc. in August 2015, after serving as President of the publically-traded company for three years. 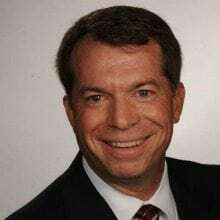 A new CEO at only 44, NCI, Inc. had a few large contract wins and acquired the data strategy and analytics company Computech Inc. January 2015. Reason to watch: It will be interesting to see the how this CFO-turned CEO makes his mark on NCI. Marilyn Crouther, Senior Vice President and General Manager for Hewlett Packard Enterprise (HPE) U.S. Public Sector, is a long-time veteran of the legacy company HP, having been with HP since 1989. 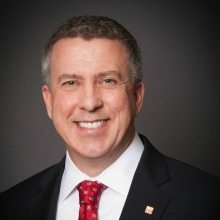 Crouther’s leadership was vital in the successful transformation from HP to Hewlett Packard Enterprise when HP split into two companies, creating an entirely independent company HPE on Nov. 1, 2015. In October, 2015, Crouther won the Northern Virginia Technology Council (NVTC) Tech Awards, honoring groundbreaking companies/firms, leaders and innovations in the Greater Washington, D.C. region. Reason to watch: It will be interesting to see if HPE embarks on an acquisition strategy for the company’s U.S. Public Sector in 2016 and beyond. Vencore, Inc. CEO Mac Curtis spearheaded the organization’s integration and rebranding efforts since 2014 after it nearly doubled in size with the acquisition of QinetiQ North America’s services and solutions business — and the company has been on a roll ever since. The company also launched Vencore Labs in mid-2015, after acquiring an applied research arm called Applied Communication Sciences with its origins dating back to Bell Labs. This past fall, Curtis served as the Greater Washington Heart Walk Chair, helping the American Heart Association raise more than $2 million and Vencore team raise more than $290,000 in support of cardiovascular research. Originally a spin-off from Lockheed Martin about five years ago, Vencore has grown into a high-impact technical and analytical services firm that offers mission-critical engineering, analytics, cyber and applied research solutions to its customers. Vencore is owned by private equity firm Veritas Capital. Reason to watch: With is broad spectrum of sophisticated capabilities serving the federal government in the defense, intelligence and civilian markets, it will be interesting to see what sectors will be of interest to Vencore in terms of acquisition strategy in 2016, if any. The Honorable Michele Flournoy is the Co-Founder and CEO of the Center for a New American Security (CNAS), a bi-partisan national security and defense policy think tank. Flournoy served as Under Secretary of Defense for Policy from February 2009 to February 2012. In 2014, Flournoy was asked by the Obama Administration to serve as Chuck Hagel’s successor as Secretary of Defense, but turned down the job due to family concerns. Flournoy is rumored to be on the short list of Secretary of Defense Nominees in a potential Clinton Administration. Flournoy joined CSRA’s board of directors in November 2015, under newly-named CEO Larry Prior. Reason to watch: As 2016 is a presentational election year, it will interesting to see what role CNAS will play regarding the national security policy. Never confuse activity with results – that’s been one of Sid Fuchs’ guiding principles almost from the beginning. During the course of his 30-year career starting as a CIA officer, Fuchs has translated action into results and value creation for a wide range of government agencies, multinational Fortune 100 corporations and private equity backed companies. As a CEO, he has led public and private companies ranging in size from $100 million to more than $1.5 billion. 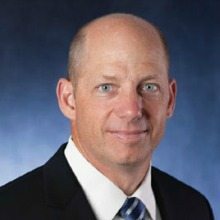 His most recent role, as president and CEO of MacAulay-Brown, Inc. (MacB), has seen him lead the national security company through several large contract awards: most recently, a $40 million, seven-year contract to provide the Air Force Research Laboratory with sensor work. 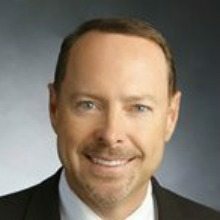 In addition, since taking the helm in 2011, Fuchs has guided MacB through two strategic acquisitions, expanding the company’s capabilities into specialized hardware, software, and product technologies and solutions. In 2015, MacB posted the highest number of wins and contract awards in the company’s history. In 2014, Fuchs, an accomplished musician and guitarist, led the MacB band, “The Operators,” to win “Spookstock,” a defense and intelligence industry battle of the bands event held to raise funds for the Wounded Warrior and CIA Officer’s Memorial Foundations. Results matter, and so does creating value through relationships – that’s been another guiding principle for Fuchs over the course of his career. Fuchs has shared his valuable career insights in his 2012 book, Get Off the Bench, and through his work serving on multiple boards including the Professional Services Council (PSC), the IT firm Buchanan & Edwards, the software development and data analytics company 5AM Solutions, and as the former Chairman of the Tower Club Board of Governors. 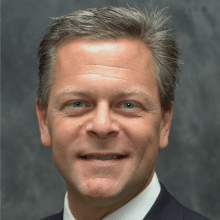 In addition, Fuchs serves as the Executive in Residence and on the Dean’s Advisory Council for the Louisiana State University College of Engineering and in 2016 will be inducted into the University’s Hall of Distinction. Reason to watch: What’s next for Fuchs? “I am working on a second manuscript – it’s about skill set evolution and how to transform from an individual contributor to an executive over the course of a career.” No doubt, he’ll have plenty of examples to provide from his own career. The task couldn’t have been more daunting: In 2014, as Ebola spread throughout West Africa, the U.S. government called upon PAE, a leading provider of enduring support for essential missions, for assistance. Under the leadership of CEO John Heller, the company rapidly mobilized more than 1,600 people – several from within the executive ranks of PAE, who personally volunteered to travel to Liberia — to staff and support nine Ebola treatment units and the Monrovia Medical Unit (a specialized Ebola treatment facility) with life support, logistics, aircraft and medical services. That critical work led PAE to win the first-ever GovCon Program of the Year award in late 2015. Helping the U.S. government maintain a state of readiness to meet future challenges in places like Liberia, and in over 60 countries worldwide, has been central to PAE’s leadership under Heller since he came onboard in December 2013. In keeping with that vision, Heller led the company through the January 2015 acquisition of USIS’s Global Security and Solutions division and the June 2015 acquisition of A-T Solutions, further expanding PAE’s National Security Solutions’ reach into law enforcement, homeland security, defense and intelligence customers, supporting their most complex national security missions. *Platinum Equity announced Jan. 19 that it signed a definitive agreement to acquire Arlington, Va.-based PAE from Lindsay Goldberg. The transaction is expected to close by the end of February 2016, subject to regulatory approvals. Financial terms were not disclosed. Read on here. 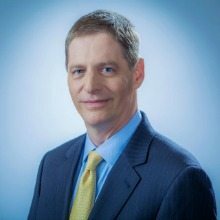 A 30-year veteran of the IT industry, Dave Henderson was appointed President of CGI’s US Operations in May 2015. 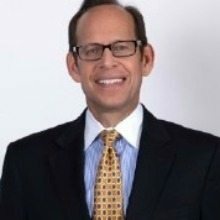 Succeeding George Schindler, who is now CGI’s Global Chief Operating Officer, Dave and his family have moved to Northern Virginia from Texas for this role. Reason to watch: Building on strong momentum, it will be interesting to see how Henderson propels CGI forward in 2016, combining organic growth and acquisitions, given CGI’s last large U.S. acquisition was Stanley in 2010. If you’re contemplating a relaxing semi-retirement in the future, don’t look to Dr. John Hillen as a model. In 2015, the former Sotera Defense solutions CEO and PSC Chairman perhaps set a record for part-time roles and affiliations in the GovCon industry. A chairman of two corporate boards and one advisory board, and a director on three others, he also held board roles at PSC and six non-profit institutions. As the Executive in Residence and Professor of Practice at George Mason’s business school, he teaches leadership and strategy and recently launched the school’s GovCon initiative. The former Assistant Secretary of State still dabbles in policy, co-chairing a U.S. Navy study on ethics last year and publishing several articles on U.S. foreign policy and strategy. In other words, don’t invite Hillen to be in your tournament foursome if you’re looking for someone with a low handicap. 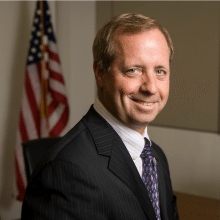 Dr. Hillen continues to be one of the more influential voices in the GovCon community and will be penning a monthly column for Washington Technology magazine in 2016. 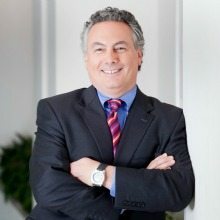 Reason to watch: Watch for Hillen’s GovCon Initiative at George Mason to make waves and his companies to make moves (two of them just closed on their first acquisitions), but by the end of 2016 he could also end up in a sub-cabinet position in the government if there is a Republican administration. It was a big year for Jerry Hogge, Senior Vice President and Deputy Group President for Leidos Federal Health. Hogge was the lead executive for the Leidos-led team that won the massive, $4.3 billion Defense Healthcare Management Systems Modernization (DHMSM) contract in July 2015. Hogge and team won the 22 month-long fierce competition and brought a renewed excitement to Leidos Federal Health and the consortium of companies who comprise the winning team. Leidos Federal Health had a fantastic year in 2015, a year where incredible teamwork brought growth and success across the business. The Leidos Federal team re-won its cornerstone Military Health program, AHLTA/CHCS sustainment, as well as many other strategically important programs across the business. Barbara Humpton, Siemens Government Technologies, Inc.
Barbara Humpton was named President and CEO at Siemens Government Technologies, Inc., effective Oct. 1, 2015. 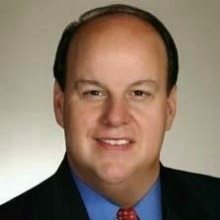 Humpton joined SGT in October 2011 as Senior Vice President for Business Development. Last year, she was appointed SGT’s first Chief Operating Officer. 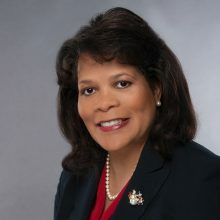 Prior to joining SGT, Humpton held senior leadership and management positions at Lockheed Martin and Booz Allen Hamilton, where she was a Vice President at both firms. She has more than 30 years of experience working in the government market and with the federal industry. SGT is a federally compliant Siemens legal entity. Former U.S. 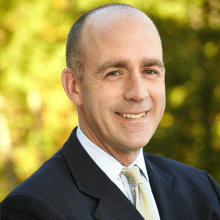 Naval Academy grad John Hynes served as the final CEO of TASC, Inc. before it was acquired by Engility in October 2014 in an all-stock transaction worth around $1.1 billion. Reason to watch: Hynes is now Executive Vice President and Chief Operating Officer of Engility Corporation and is expected to continue to play a larger role in the company in the future. 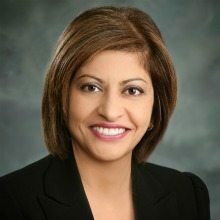 A seasoned executive who learned the nuts and bolts of the govcon space while at Lockheed Martin for 20 years, Kay Kapoor has been the President of AT&T Government Solutions since March 2013.Earlier this year, WashingtonExec interviewed the STEM graduate about her work to encourage young girls to pursue STEM degrees. In February 2015, Kapoor served as the Greater Washington Heart Ball Chairperson, helping raise more than $1 million towards the American Heart Association‘s local community outreach efforts to educate the public about heart disease, stroke and the effects of childhood obesity, as well as cardiovascular research. Reason to watch: As Kapoor is heading towards her third year with the $4.5 billion, 4,000 employee federal division of AT&T, she continues to bring new markets and ideas to the organization. 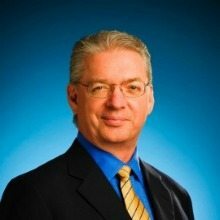 Paul Leslie, CEO of Dovel Technologies, joined the company in 2011 after a number of years on Dovel’s Advisory Board. Under Leslie’s leadership, the company has achieved tremendous growth — Dovel was listed at No. 8 on Washington Business Journal‘s 50 Fastest Growing Companies list for 2015 with a three-year growth rate of 101.91 percent. Leslie and his organization are also very involved in giving back to the community. 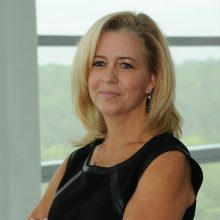 Dovel is committed to supporting causes that are important to their employees, and earlier in 2015 Leslie was named Chairman of the Board of the Community Foundation for Northern Virginia, a grant-making and endowment-building organization with a focus on supporting the most pressing issues facing local neighbors in need. Reason to watch: The mid-tier company continues to experience tremendous growth in the health and life sciences technology market. 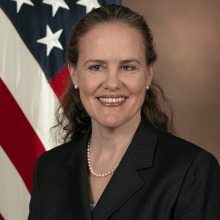 Ellen McCarthy was named the President at Noblis National Security Partners (Noblis NSP) in November of 2015, after serving as a Director of Plans and Programs and Chief Operating Officer of NGA for more than two years. Noblis NSP is combination of three organizations: Point One, Summit Solutions, and LMN Solutions and is a wholly-owned subsidiary of Noblis, a nonprofit science, technology and strategy organization. We at WashingtonExec first met McCarthy when she was the President of the Intelligence National Security Alliance (INSA) back in 2009. 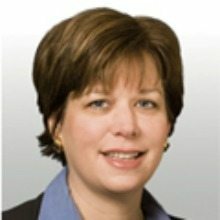 An intelligence and national security nonprofit that brings together the public, private, and academic sectors, McCarthy was able to elevate INSA’s profile and financial standing over her years of service, including increasing its corporate membership by more than 78 percent over her tenure. INSA is now a highly-regarded and influential voice within the intelligence community and leadership agencies. McCarthy is now back working with a few of her former colleagues, including Noblis board members John McLaughlin, Tish Long, David Shedd and General (Ret.) Ron Burgess. Reason to watch: It will be interesting to see how McCarthy will chose to make her mark in her first industry position within a highly-competitive space. 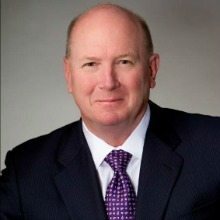 Bob McCord had a successful run for more than three years as President and Chief Operating Officer of 2020 Company, LLC, before it was sold to Acentia in April 2012. McCord then worked as President and COO of Acentia until March 2015, when the information technology and management consulting company was bought by MAXIMUS for $300 million. Today, McCord is President and COO of Octo Consulting and reports to fellow Virginia Tech graduate and founder Mehul Sanghani. “We are committed to being the federal market’s premier digital services firm and are elated to have [Bob] guide us in this journey, improve our execution and achieve our vision of a digitalized government,” Sanghani said in a press release. Reason to watch: It will interesting to watch if the self-described operator will be able to build on Octo’s success to re-create the magic of 2020 and Acentia. 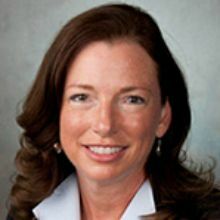 For more than 9 years, Stacy Mendler has been COO of Alion Science and Technology, an engineering, technology and operational solutions company, and we expect Mendler to play a bigger role in the coming years. After a series of acquisitions throughout the 2000s and a continuing track record of growth, Alion was bought by Veritas Capital this summer. Veritas also owns Vencore, a Chantilly-based information solutions and engineering company. Reason to watch: It will be interesting to see how Alion’s strategy evolves under Veritas Capital ownership. He’s been there, done that, to great success. As the former chairman and CEO of Stanley, Inc., Philip Nolan guided the information technology company toward greater growth, first, through the integration of various acquisitions and later, through its initial public offering on the New York Stock Exchange. If past performance is any indication, Nolan is slated to do the same for Camber Corporation. 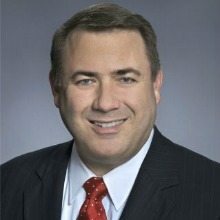 Following three years as a member of its board of directors, Nolan was named as chief executive officer in February 2015, and has since been guiding the private equity-backed defense contractor through new market initiatives. Among them is an expansion of the company’s broad capabilities in the unmanned systems market through the establishment of a wholly owned subsidiary, Unmanned Systems Innovation. Reason to watch: Can Camber now reach $1 billion in revenue? Nolan’s built the team for the task, and coupled with his wealth of industry experience, government contracting insiders are betting the answer is yes. Set reasonable expectations, then exceed them. Since SAIC’s spin-off from its parent company in September 2013, Anthony (Tony) Moraco has followed that business stratagem to a T. At the time of the split, industry leaders questioned SAIC’s ability to transition out of legacy and transcend lower margin business. Under Moraco’s CEO leadership, though, SAIC has proven the steady leader, increasing its net income 25 percent during fiscal year 2015. From the start, Moraco focused SAIC as a “$4 billion restart, not a startup,” to deliver full life cycle services and solutions to federal customers – all while setting out to increase growth by expanding key market access by 10 to 15 percent in the absence of any perceived organizational conflicts of interest that precipitated the spinoff. Moraco has continued to oversee SAIC’s growth into the past year, most notably with game-changing contract awards like two U.S. Marine Corps amphibious vehicle integration contracts and the May 2015 acquisition of the national security provider Scitor Holdings for $790 million in an all-cash transaction.”Uniting our two very forward-leaning companies increases the magnitude of services we can provide for our customers and opportunities available for our employees,” Moraco said at the time of the acquisition. Reason to watch: The Scitor acquisition helped SAIC close out the year with a revenue growth of 14 percent — demonstrating, under Moraco’s watch, that SAIC has solidified its place as a formidable industry contender to watch over the year ahead. Damian Perl has turned a one-man company into a global enterprise – and positioned himself as one of the world’s most well-connected personal security executives along the way. 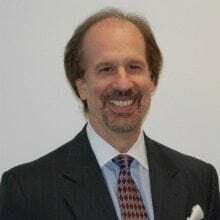 As founder of Global Strategies Group, Perl has grown his U.K.-based company into a leading investor and provider of integrated security and defense technology. Among its key investments, the company backed Global Defense Technology & Systems Inc. (GTEC), now known as Sotera Defense Solutions, guiding several acquisitions and its initial public offering, before selling it to a private equity firm in 2011.Then something unexpected happened: Silence. In 2011 and 2012, Global Strategies Group took a step back from the U.S. government market. Waiting out the market proved to be a charm. In 2013, the firm reemerged, and established Global Defense & National Security Systems (GDEF), a public company formed to acquire operating businesses in the U.S. defense and national security sector.Reason to watch: Now Perl is eyeing his next move — As chairman of GDEF, Perl helped guide the recent purchase of Reston, Va.-based contractor STG, in November 2015, for $165.5 million. Will Perl repeat his Sotera success? Our bet’s on STG – and more smart acquisitions ahead – under Perl’s GDEF chairmanship. He’s not your typical CEO. Long before he assumed the helm as CEO of the newly created, largest pure play IT services provider to the U.S. government, CSRA, Larry Prior was a Marine Corps intelligence officer and Russian FAO. He authored a national intelligence estimate on Soviet naval strategy that changed our view of their strategy in Europe, the Arctic and the importance of their SSBN’s. Prior’s insights contributed to the net assessment “Discriminate Deterrence” and he was one of the many thought leaders that contributed ideas in prelude to the end of the Cold War and the fall of the Berlin Wall. That ability to offer new perspectives is what industry veterans are betting on, as Prior takes on his newest role. 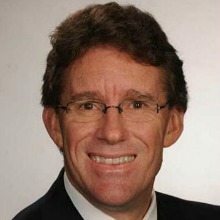 In late November 2015, Prior was tapped as CEO of CSRA, after the newly-formed $5.5 billion government IT company spun-off from Computer Sciences Corp., and completed a planned business combination with SRA International. Now that CSRA is forging ahead as an independent public company on the New York Stock Exchange, with approximately 19,000 employees, Prior is busy adding members to the organization’s executive team, including Leigh Palmer, formerly of BAE Systems’ intelligence and security business, and Christian Marrone, who previously served as chief of staff in the Department of Homeland Security. Meanwhile, CSRA’s board of directors has grown to include former Under Secretary of Defense for Policy Michele Flournoy. Reason to watch: Throughout, Prior aims to keep a singular focus on the delivery of next-gen IT to the government, with a focus on driving value to shareholders. 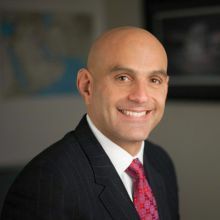 Julian Setian is the President and CEO of SOSi, a family-owned, mid-tier government services integrator with customers in the Defense and Intelligence sectors. With over 25 years in business, the mission-specific organization has never held a small business set aside contract and touts over 30% compounded annual growth since conception. In the last two years alone SOSi grew over 40%, at a time when the overall U.S. defense spending budget is being consolidated. Reason to watch: A company with 90 percent prime contracts, it sports a robust Board of Advisors, including Chairman of the Board Dr. John Hillen, Dr. Paul Wolfowitz and Ambassador James F. Jeffrey. The best leaders don’t just react, they anticipate – just as Lou Von Thaer did in January 2013. At the time, Von Thaer was serving as co-chairman of a 33-member task force tapped by the Defense Science Board federal advisory committee to gauge the nation’s military preparedness for a full-scale cyber-conflict. The ensuing 138-page report concluded the Defense Department was far from ready. A year later, the OPM hack exposed the state of federal cybersecurity, leaving government contracting voices like Von Thaer’s more relevant than ever. These days, Von Thaer is bringing his “unrelenting strategic awareness,” as one industry colleague puts it, to DynCorp International, Inc. 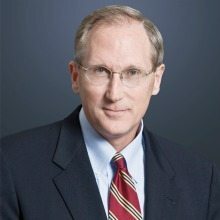 In June 2015, the 30-year industry veteran, who previously served as president of the National Security Sector at Leidos, was named CEO of DynCorp International (DI) following a 10-month search. Since then, Von Thaer has overseen key contract wins by the private military contractor, including a $45.5 million contract to provide support services to the Iraqi Army, as well as a Saudi Arabia National Guard aviation contract. Reason to watch: With the rapid drawdown of American forces in Iraq and Afghanistan, Von Thaer is equally focused on adjacent markets that build on DI’s core competencies. If his track record is any indication, Von Thaer will be busy anticipating critical needs ahead. Few leaders are as passionate about healthcare IT as Jim Traficant – and few understand its life-and-death importance quite like him either. A two-time liver transplant recipient, Traficant knows first-hand the critical role better information can play to improve care and benefits access, delivery and outcomes. Since joining AFS in July 2012, Traficant has used his personal passion and expertise to help the management and technology company drive federal health transformation with a focus on the Departments of Defense and Veterans Affairs. Traficant’s success has been bolstered by two strategic acquisitions: First came the company’s purchase of the solutions integrator ASM Research in 2013, a move that expanded Accenture’s U.S. defense business in the growing military health market. This was followed less than two years later by the acquisition of the digital technology services firm Agilex. As the AFS managing director and president of ASM Research, Traficant leads Accenture’s work delivering mission-critical health and benefits solutions for our service members, veterans and their families. Reason to watch: For Traficant, the goal is to take care of those who have taken care of us – and to leverage the federal marketplace to fuel the transformation of healthcare itself. George Wilson: Coming off strong organic growth in 2014, ECS launched 2015 with an acquisition, followed by a partnership investment by the private equity firm Lindsey Goldberg LLC, expansion from a two bank to a six bank credit facility, and then two additional acquisitions. Prior to lighting the fuse we spent a lot of time and effort building the senior team, getting the culture right, focusing on the people, building trust and putting the processes in place needed to support accelerated growth. Contract growth and recent awards of $250M in backlog have strengthened ECS’s position as a provider of advanced engineering support and solutions delivery to DARPA, the intelligence community, the Navy, the Department of Justice, the United States Postal Service and the Defense Health Agency, to name a few of ECS’s long term customers. 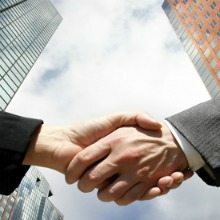 ECS delivers agile software and big data analytics solutions, cloud based data solutions, worldwide computer networks and network defense solutions that are mission critical to our customers. Our people are engaged and doing what it takes to provide exceptional service, solve problems of national importance, and provide opportunities for our employees. I enjoyed my time in the Navy and my time helping build Stanley Associates to a billion dollar company but the privilege to lead and work with such a great team at ECS is the most rewarding. Reason to watch: We have a lot of expectations for 2016. Recent awards and integration activities will challenge the company’s people and processes, as the company has grown from 1,300 to nearly 1,900 employees in the course of 15 months. We would like to say we are taking a moment to catch our breath, but we don’t see that happening. 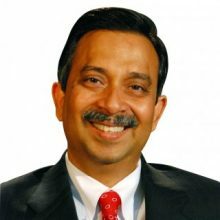 When longtime Unisys executive Venkatapathi “PV” Puvvada became president of Unisys Federal Systems, he envisioned bolstering its standing as an IT leader in disruptive technologies such as cloud, big data, mobility and security solutions. In early January, that vision was reinforced when the Dept. of the Interior became the first federal agency to migrate its financial management system to the cloud. As part of a five-year IT modernization plan, which began in 2011, the department finished moving its Compusearch and SAP business management and reporting systems to the cloud, entrusting the management of its accounting framework to Unisys. Puvvada’s ability to gauge federal client needs – and deliver on them with innovative solutions – comes backed by smart team-building choices, with leaders tapped from the ranks of government. 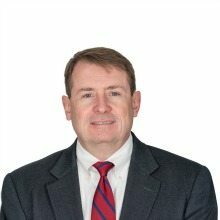 This past year, Puvvada’s unit named former General Services Administration CIO Casey Coleman as group vice president of its civilian business and named Army Major General (Ret.) Jennifer Napper as group vice president of its Defense/Intelligence business. And last fall, the company tapped Frederick Henry, a 30-year U.S. Army veteran and former chief of staff at the Defense Information Systems Agency, to oversee Unisys’s IT work with DISA. Reason to watch: Those choices build on Puvvada’s belief that collaboration is key to growing Unisys Federal’s footprint in cloud computing, big data, mobile applications and security. With that type of blueprint, the company may again make history in 2016. **This list does not consist of all the worthy executives in the federal contracting industry or federal government. We started the list with more than 200 names and narrowed it down to 30 executives through our nomination committee. Lisa Singh contributed to this article. CSRA and Cyber Security Reseach Alliance are two different entities. CSRA is a public traded company while Cyber Security Research Alliance is a non-profit consortium. When I think of execs to watch I think of folks who are up and coming. All of these folks have or are the head of their federal organizations; whether as CEO’s of government focused companies or heads of the federal unit at major companies. Where are those who are to watch who are the future leaders?